Everyone enjoys a relaxing break once in awhile, and the Smoothie Soft Seating Lounge chair provides the perfect place to get that. DuraFlex Soft Seating from Tenjam is ideal for the most popular lounge and library areas in your school. 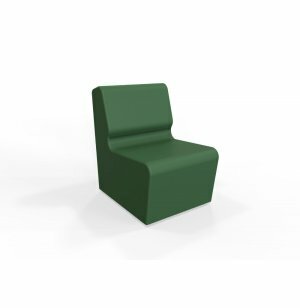 When it comes to supporting collaboration and relaxation, these seats offer the perfect combination of comfort and durability. A cushy foam core covered by a vibrant flexible thermoplastic finish, creates a cozy and inviting space where students can get the creative juices flowing. With the high demand and appeal of comfy soft seating, you want to make sure you are choosing a long-term investment. DuraFlex features a seamless finish, which creates a smooth exterior, where dirt and bacteria have no place to hide. The surface can be easily wiped down and disinfected, looking as good as new in no time. The bottom drip edge fully covers the wood base for additional moisture protection. Firm Positioning: Fixed legs and a non-marking, non-slip base keep everything arranged exactly where you want it. Clean Finish: Waterproof, non-porous, flexible thermoplastic finish has no stitched seams or pockets, so dirt and bacteria have nowhere to accumulate. Full Protection: The bottom edge of the thermoplastic finish extends past the wood base, preventing moisture from getting inside. Low Maintenance: Easily wipes down for quick cleaning. Secure Design: Hard plastic bottom prevents access to the core to eliminate tampering. 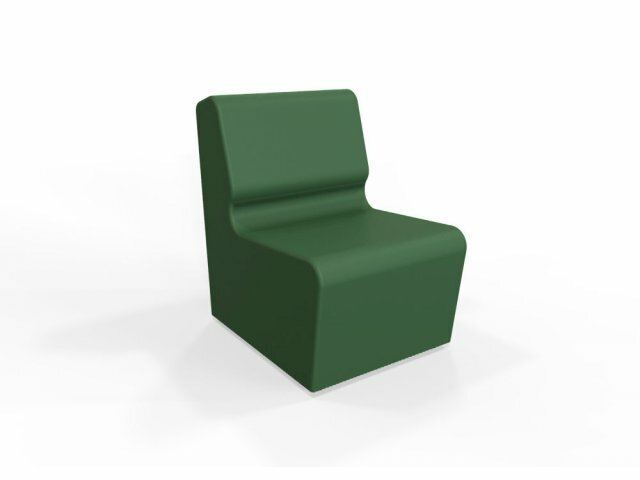 Cushy Padding: Internal flexible polyurethane foam core creates a comfortable seat.